Australian families are under pressure. 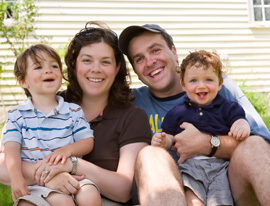 Many families in our Diocese find themselves at the margins. Increasing financial pressure, including the spiralling cost of basic services and housing, threaten the role and stability of families in our society. The Australian Catholic Bishops’ Social Justice Statement for 2012–13 celebrates the role of families in our society and urges all Australians to consider the pressures and challenges that families face today. The cost of housing, both renting and purchasing homes, continues to rise. The gifts the family offers to society reveal a model of self-giving that counterbalances the challenges mentioned. When families are struggling to survive, we have a special obligation to assist them. Family Impact Statements are required for submissions to Federal Cabinet. These should be publicly available to inform debate. Indigenous people have higher and increasing rates of incarceration, higher infant mortality, and shorter life spans, which together with limited opportunities leads to greater family trauma. Government should ensure that indigenous people participate in decision making, are consulted in good faith, and consent is sought prior to implementation of legislation and programs. Welcome to this month’s edition of “Liturgy Notes”, the liturgy and music section of the Faith & Life e-newsletter.The Australian Pastoral Musicians Network (APMN) is holding their Annual General Meeting this coming Saturday, 13th October 2012, from 10am to 3pm, at the Rheinberger Centre, corner Weston and Loch Streets, Yarralumla, Canberra, ACT. The meeting includes a Music Copyright Workshop for Catholic Parishes. The workshop will provide an opportunity to hear from the leaders of the major Church copyright licence organisations in Australia – Mark Beckwith, Word of Life International (WOLI); Malcolm Hawker, Christian Copyright Licensing International (CCLI); and Monica O’Brien, Willow Publishing and LicenSing On-line (LSO). See the link below for further details. I hope to catch up with many APMN members and musicians from our Diocese at this event. In our ongoing series reviewing the various seasonal psalms, this month we look at Psalm 98 – All the Ends of the Earth. This month’s article on upcoming Music Selections for Mass includes recommendations for November and December and takes us to the end of the year. Also, there are Diocesan Liturgical Ministry training courses for Readers, Sacristans and Music Coordinators scheduled in October and November (see details of upcoming liturgy and music workshops). 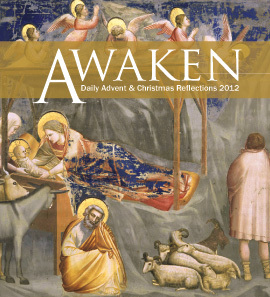 The Diocese of Wollongong is delighted to be producing a beautifully presented full colour 68-page pocket size Advent/Christmas resource entitled, Awaken – Daily Advent and Christmas Reflections 2012. Advent is such a busy time of year, but it is also so important to spiritually prepare for the coming of Jesus Christ at Christmas. Therefore, Awaken contains short daily reflections from the beginning of Advent through to Epiphany inclusive primarily for personal use. Each day contains a one-page reflection (two pages for Sundays and major feast days). The daily reflections are written by Fr Graham Schmitzer, Sr Hilda Scott OSB, Fr Ronan Kilgannon and Ms Michelle Vass. It also features beautiful religious artworks from our rich Catholic history with accompanying descriptions written by Fr Sean Cullen. Awaken costs only $2 (incl GST) plus shipping for those outside the Diocese of Wollongong. If you live in the Diocese of Wollongong, please contact your parish or school to reserve your copy. Delivery is expected the week of 19 November 2012. Click here to download the cover as well as a sample of one of the daily reflections by Fr Graham Schmitzer. If you live outside the Diocese of Wollongong and would like to order Awaken, you can download an order form here and email/mail/fax back to us or contact Jane Edwards directly at 4253 0899 or jane.edwards@woll.catholic.org.au. If you live outside Australia and would like to order Awaken, please contact Jane Edwards before filling out the order form so that we can advise you of the shipping costs. Jesus! Mary! Joseph! – These names are immediately recognisable as The Holy Family. As with any family they were able to recognise the gift of each other that was being given to them by God. We don’t know much about the life of the Holy Family other than what is offered to us in the Scriptures through the ministries of Jesus. However, we do know that Jesus’ Mother, Mary, was a woman of great faith and incredible trust. Joseph must have also placed great trust in his young fiancé as she entered into the agreement with God to be the mother of God’s son. Jesus himself was supported during his life by both Mary and Joseph. So, what understanding is there to gain from the Holy Family who lived so many years ago and that of our own families today? Some would say that they didn’t have the pressure and stress that a modern family now has. The Holy Family didn’t have to be concerned with mortgages. They didn’t need to be concerned about both parents working and managing time for the children. They didn’t feel the guilt of a young mother who has to head off to work only months after giving birth to her child; or the frustration of a father who works two jobs ensuring that his children receive the very best education he can provide. So how can we compare the modern family with the Holy Family? Surely they are worlds apart! However, when we really reflect on the Holy Family, we see people of great faith, immeasurable trust, sacrifice, dependability and unconditional love for one another. These attributes can also be seen in families today. Parents make great sacrifices for their children. They put their children before themselves, caring, protecting and nurturing until such a time that they recognise their child is able to cope, just as Mary and Joseph cared for Jesus in his early years prior to his public ministry. Just like in Jesus’ day, parents today must trust their children to enter unknown paths, gently guiding, encouraging and supporting. In the Wedding Feast of Cana, we see Mary’s trust of Jesus. Parents are the first to champion the accomplishments of their children, and rightly so. 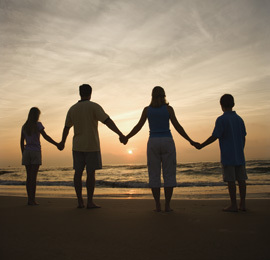 Many families look to their extended family for support and comfort. Mary’s encounter with her cousin Elizabeth was a recognition of both women that they and their children were part of God’s plan. What hope they must have had for their unborn children! This is the same hope that pregnant mothers today hold. A mother dreams, listens and watches for signs of who their child may become and what impact this child will have on the world. If there is one attribute that is strikingly similar between the Holy Family and families of today it is the unconditional love that is held between family members. One of the greatest gifts we have been given is the ability to love. With this love comes the ability to forgive and together this enables unconditional love – the type of love that Jesus was given by Mary and Joseph and the type of love that parents today hold for their children. When families experience hardship or joy it is from reflecting on the Holy Family that strength and peace can be found. For instance, as we meditate on Mary beneath the cross, her anguish seems almost palpable to us, and yet she recognised that she had carried out her part in God’s plan. The Holy Family continues to be a source of resilience and courage for families today and for the future. Here are just some of the recent initiatives which CatholicCare offers in support of families. These workshops offer practical ‘hands-on’ approaches which assist participants in developing and maintaining healthy family relationships. The Term 4 flyer has now been published. Click here to see our Wollongong, Campbelltown and Nowra courses. Call (02) 4227 1122 to book in and hurry places are limited! 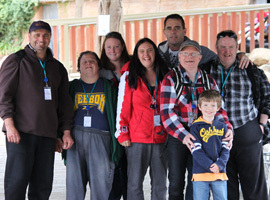 Forty-One people with disability recently enjoyed a three-day adventure in Canberra with nine staff and volunteers from CatholicCare’s Aged and Disability Services. Canberra’s chilly weather did little to dent the enjoyment of feeding experiences with lions and meeting snakes up close and personal at the National Zoo and Aquarium. The earthquake house at Questacon was a big hit with many members of the group. The Black Mountain climb to Telstra Tower in the coach was worth the views despite the howling winds on the outdoor platform. Later, new Parliament House was visited with many photos taken inside and on the forecourt. CatholicCare’s ‘excellent adventure’ will live long in the memories of those who took part and also to those well-rested families and carers back home. CatholicCare Wollongong has recently appointed a new Sibling and Family Support Coordinator to the Diocese. Kathrine Walsh has extensive experience in the community sector and has a strong background in marketing and promotion. Her role will be developing programs and activities that facilitate support networking and assist individuals and families to overcome some of the barriers that are associated with caring for a family member with a disability. If you know any families who would like to get involved with the program or if you would like more information, please email Kathrine on kathrinew@catholiccare.woll.catholic.org.au OR call (02)4227 1122. Truce is a 7 week program for young people who have a parent with cancer. This free program, run by Canteen Counselling Services, in partnership with CatholicCare is for young people (14-22 years) to help them cope better. Truce uses Acceptance and Commitment Therapy (ACT) and addresses how to deal with difficult thoughts and feelings. 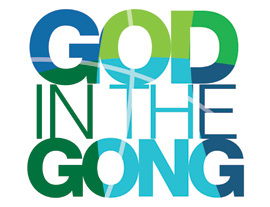 God in the Gong - To celebrate the Year of Faith, Catholic Youth Ministry Wollongong is launching God in the Gong. 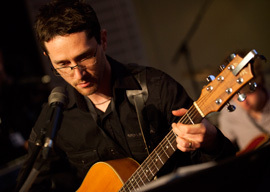 Each month God in the Gong will feature an evening of live music, catechesis and discussion with an engaging guest speaker focusing on a different, thought-provoking topic. To kick us off Bishop Peter Comensoli will be exploring ‘Faith & Grace: Do these amazing gifts have a use by date?’ So, if you’re aged between 18 and 35, come along to the Illawarra Brewery (cnr Crown and Harbour Sts, Wollongong) on Tuesday, 23 October from 7.00pm - 9.00pm and join the conversation. For more information contact Loretta on 4253 0809 or email youth@dow.org.au or head to www.facebook.com/cymdow. Click here to download the God in the Gong Flyer. 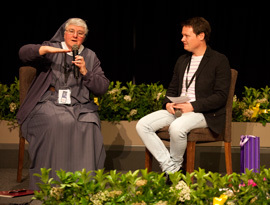 Sr Louise McKeogh FMA (Caritas and Social Justice Office Coordinator for the Diocese of Parramatta) recently blogged on her reflections from the Australian Catholic Youth Ministry Convention that was hosted by the Diocese of Wollonogng on behalf of the Australian Catholic Bishops Conference in September 2012. Sr Louise highlighted the postive impact Sr Hilda Scott OSB (Jamberoo Abbey) had on the young people in attendance with her keynote address. Sr Louise writes, "At the ACYM Convention, the young people engaged so clearly with the input of Sr Hilda Scott OSB, it was as if they had echoed and spoken the phrase from scripture “teach us to pray.“ Her reflection on the spirituality of young people certainly inspired them and enabled her to build an immediate rapport and she gained their admiration and connection in offering them The Word of God. "Young people voiced over and over again in their evaluation and conversation, that the input of Sr Hilda was the highlight. Young people know when someone is sincere and indeed has a deep and meaningful preferential option for them." In Sydney – too many years ago! (1954). A piece of toast and vegemite and a cup of tea. What inspired you to join the Society of Mary? The spirit of the Society of Mary – to be Mary in today’s world, to be part of bringing the feminine, compassionate God to people, and the simplicity and Mary-likeness of the sisters who taught me at school. What is the role of ‘Disability Advocate’ and what does it involve? To provide advocacy and ongoing support for people with disabilities and their families within the community and parishes of the Diocese. This may be assisting them to access relevant government and non-government services, or recreational and community activities; and with the support of parishes, church activities and spiritual support. St Paul and Caroline Chisholm. What has brought you the greatest joy and most challenge in your life as a religious? Community and community!! (just joking) Having the time for prayer, to be with God; also to have the time to “be there” for those who are on the margins and being part of a committed community of women. Challenges lay in not being able to do some of the things I would like to do because of religious obedience. When I see his splendour in the mountains or the sea or a sunrise. Sometimes God’s love is just so evident, often at times I least expect it, when it is just so clear that his hand is in everything. In a world ravaged by helplessness, mental illness, crime, unemployment, and poverty; to offer the love, hope, joy and compassion of our God. The recent celebration of Social Justice Sunday and launch of the Australian Catholic Bishops’ Social Justice Statement highlights the important place that the work for social justice occupies within our lives as Catholic Christians. The following are some websites where you will find resources and materials that will be of help in this area of parish life.